Passover traditions and memories . . . .
A time for family gatherings. A time to search for the afikomen. A time to recite the ten plagues. A time for choroses and horseradish on matzo. A time for Elijah’s glass of wine. The Passover Seder allows us to join together in the warmth and safety of our homes to celebrate and remember our Jewish heritage. 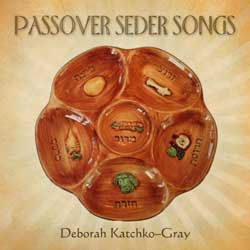 If music and song have been a part of your Passover Seder over the years the recordings in the JSA’s Passover Collection of Songs are sure to revive nostalgic memories of the past and to inspire new traditions for the future. And if you are not already familiar with the wonderful music of the Passover Seder, it’s not too late to join in and sing along! Click here for links to the JSA’s Passover Album Collection.